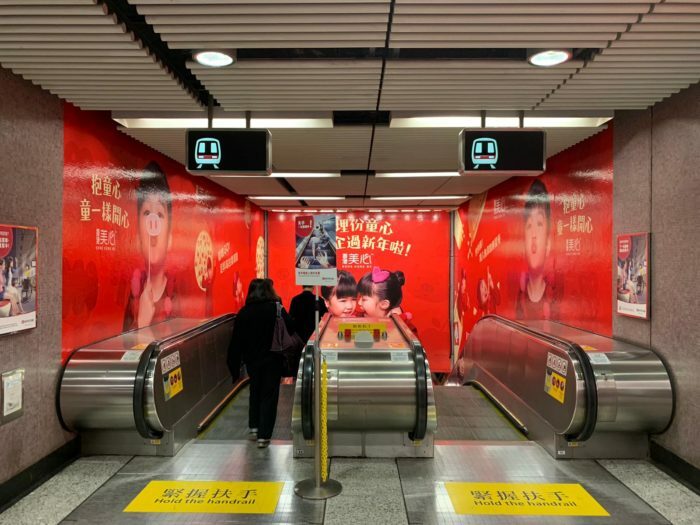 Chinese New Year’s here and Hong Kong brands have all been launching their annual campaigns – from online videos to on-site installations – celebrating one of the most important festivals in Chinese culture and one of the biggest events on the marketing calendar. We’ve put together all our coverage from this year for you to enjoy during the festive season. Kung hei fat choi indeed! Located at Foo Ming Street Tram Station, Causeway Bay, the interactive 3D TV provides on-site 3D viewing experiences without the need of 3D glasses. Running until 14 February, members of the public can upload photos to the interactive 3D TV on the spot by scanning the QR code. 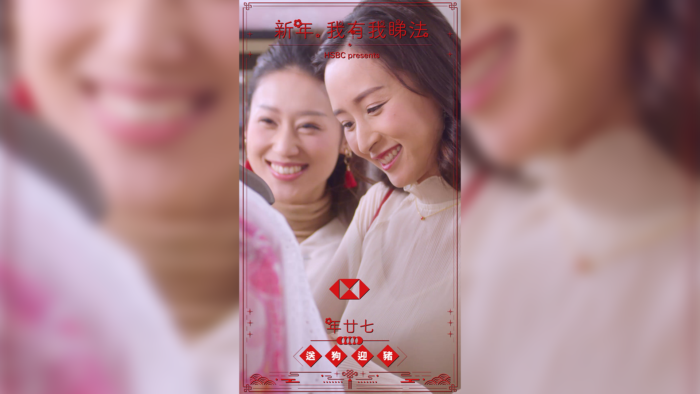 HSBC has commissioned a Chinese New Year docu-series for distribution on Facebook and Instagram stories during the holiday period. 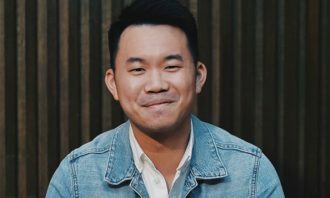 Titled #ThisIsMyCNY, the five-part series – produced by RFI Asia and in consultation with Facebook’s Creative Shop – aims to explore the perspective of millennials at CNY. The series follows the character of Hong Kong millennial Janis, as she navigates the holiday period, interacting with friends and family. It explores themes of familial connection, modern attitudes, and maintaining tradition, while also reinforcing a message about the importance of togetherness. 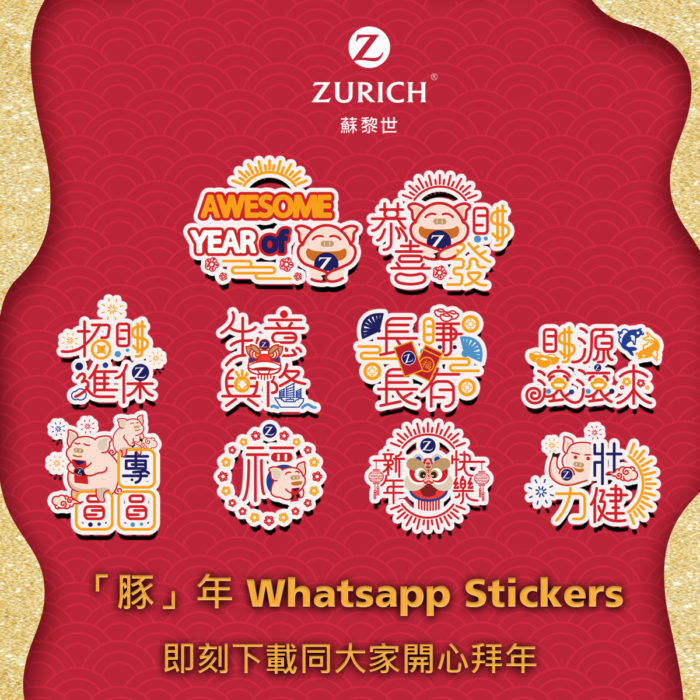 Zurich Insurance has released a set of branded WhatsApp stickers for Chinese New Year. The stickers can be posted during conversations using the messaging application. This follows closely on from WhatsApp’s adoption of the stickers feature in October 2018. 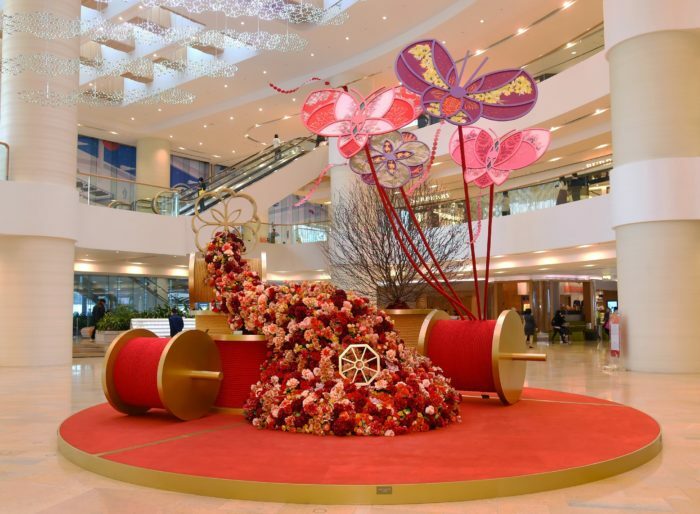 Pacific Place is celebrating Chinese New Year by showcasing more than 60 kites around the mall, created by Hong Kong artist Queenie Rosita Law. Based around the theme “Where Fortune Takes Flight” the kites are representative of traditional Chinese New Year imagery, including octagons for good fortune, butterflies for positivity, and circular candy boxes for completeness and unity. 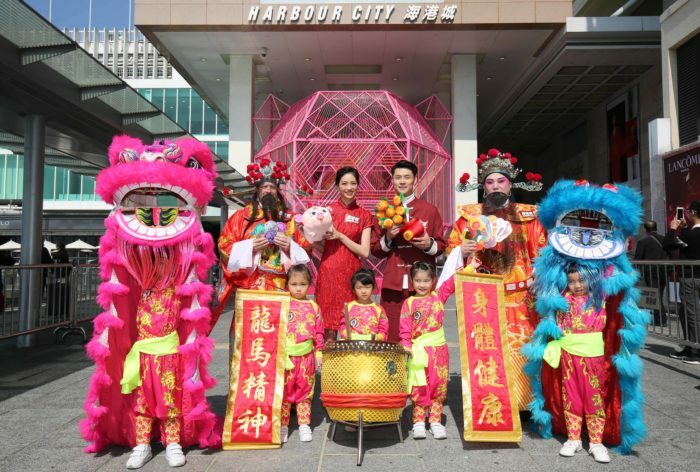 Harbour City is now celebrating the Chinese New Year, with the unveiling of a seven-metre tall “Wishing Treasure Bowl” at the Ocean Terminal Forecourt. Constructed out of multiple frames, the installation has been decorated with colourful ropes to create geometric shapes of festive iconography, from cherry blossoms to gold coins. To further engage visitors, Harbour City has introduced an interactive wishing experience where visitors are eligible to win a lucky pouch after taking part in a mini-game and donating HK$20 near the“Wishing Treasure Bowl” installation. 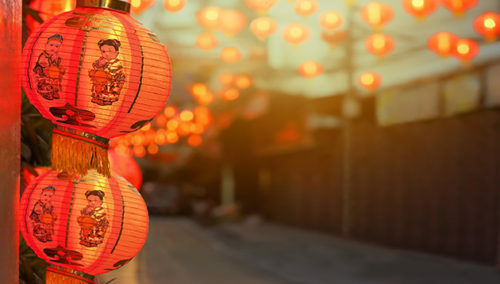 The Cathay Pacific International Chinese New Year Night Parade takes place on 5 February – the first day of the Chinese New Year – in Tsim Sha Tsui. 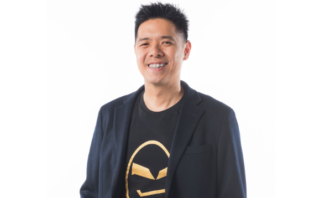 This year’s event will continue following the theme used since 2017, “Best Fortune. World Party”. The parade will showcase nine floats, 13 Chinese and international performing troupes, and 12 local performing troupes. The HKTB said the event will feature nearly 30,000 performers hailing from 30 different regions around the world. 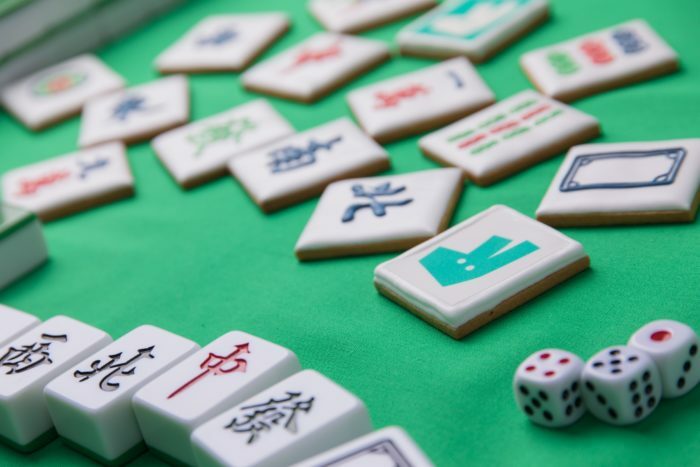 Deliveroo has been offering customers a set of edible mahjong tiles since 25 January. 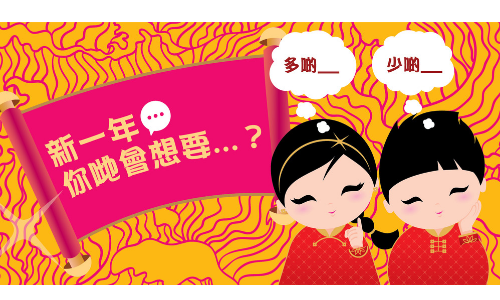 DBS Hong Kong has launched a new campaign for the festival with a red packet redemption via a Facebook Messenger chatbot game. The launch of the red packet redemption includes strategic online advertising, influencer marketing, and social media engagement. 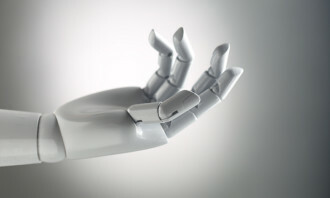 Customers can play the Facebook Messenger chatbot game by answering a simple question, then they will get a personalised digital “fai chun”, and a unique QR code that can be used to redeem a set of eight DBS red packets at special vending machines located at 1 Lan Kwai Fong in Central, K11 in Tsim Sha Tsui, and T.O.P (This is Our Place) in Mong Kok. 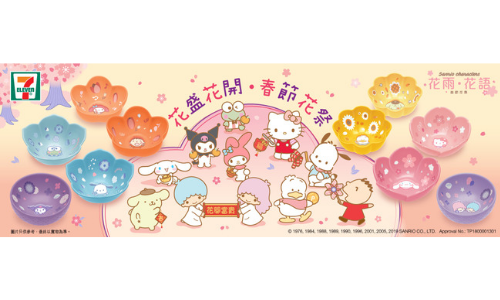 Themed “Be Childlike Heart Again In CNY Again!”, the campaign includes a TVC, digital video, OOH and BTL materials such as in-store decorations and leaflets. Aiming at passing down the heritage of Chinese culture, the campaign also reminds people of childhood memories. 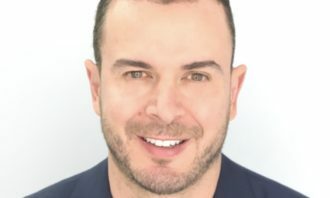 Bringing with him eight years of experience in the digital marketing industry, Kaasgaard first joined Dentsu Aegis Network in 2008..